The first pole is commercialization: turning the scene into a harmless product that can be used by the mainstream to make more money. The other pole is the “hipsterization” of black metal – making it a Left-leaning, urbanite but edgy, pastime for modern liberal ironists. Asgardsrei is true to the mythological and archetypical roots of the black metal scene, but trying to give a new life to the scene, connecting it with the wider European nationalist movement: the last true rebellion possible in the modern world. Having heard and read so much about this event, I could not let another recurrence of this festival pass me by, and I decided to go to Kiev and experience the event first hand. Believe it or not, one of my gateway drugs into nationalism was black metal. One of the reasons I began studying the philosophies of Nietzsche, Heidegger, Evola, Jung, and Spengler was that they were mentioned in lyrics, interviews, or articles published in black metal zines. There is a lot that irritates me in the black metal scene, but nevertheless, I think that when it is good, it is really good. A great upside for me was that I went headfirst into ethnonationalism, with a broader European, or White perspective, without indulging in any kind of civic nationalism or conservatism. Metal is an implicitly white culture, and true black metal is explicitly white culture, which has taught to not be ashamed of my ethnic heritage. The whole event in Ukraine had two aspects: the Dionysian and the Apollonian. The Dionysian was the Asgardsrei Fest on Saturday, with concerts and celebration of the often actively nihilistic black metal spirit. The Apollonian was the Pact of Steel Conference on Sunday, with lectures on philosophy and metapolitics of the European nationalist struggle. Regarding the Dionysian aspect, the Asgardsrei Fest on Saturday, I will not bore the readers with details of which band played which songs etc., since most are not fans anyway. The thing about this kind of music (or anti-music as many would call it) is that you either get it or you don’t. Black metal is a little bit like opera – if you don’t accept the conventions, the whole affair seems silly and way too over the top. One of the Polish liberal newspapers called black metal “gangsta rap for whites,” and there is also some truth to it. Let me just point out a few things about the festival itself and the present black metal scene in general. Asgardsrei had one of the best line-ups possible. M8l8th, Peste Noire, and Goatmoon are currently some of the most powerful acts. And their live performances are just incredible. It was astonishing to see each band set the bar higher, and when everybody thought that thing could not get any more dynamic and explicit, the final act (Goatmoon) entered the stage, proving that when it comes to playing live they are second to none. Absurd are real legends of the scene – however, compared to other acts that evening they did not seem to present as much primal energy. Naer Mataron and Burshtyn were the opening acts of the festival, but at smaller events they would make great headliners, judging by their professional performance. If you would like to give black metal a try, I recommend Goatmoon’s Stella Polaris which is very melodic and energetic or Peste Noire’s last two albums (they have a very decadent and avant-garde feel to them). I also strongly recommend more melodic and atmospheric bands not featured on Asgardsrei, such as Stormheit (the leader of which plays in Goatmoon), Drudkh (a real legend and probably the highest achievement of the Ukrainian scene), and Alcest (the most approachable of them all, led by a former Peste Noire musician). Over the years, I have attended a few metal and black metal concerts, but this was the best event I have ever been to. The energy of both the artists and the audience, the great visualizations in the background of the stage (mostly animated flags with logos of the bands and looped scenes from old-school movies), as well as the sound (black metal concerts are very difficult to engineer) were of the highest quality. Furthermore, it was quite a sight to see over 1000 white people celebrating their heritage: including the dark (gothic) and violent (militarist) aspects. The whole event was immersed in a certain “me ne frego” attitude. To use anarchist or liberal vocabulary: the whole venue turned into a temporary autonomous zone, or a safe space, where it is not only okay to be white, but also to display certain symbols or slogans which are not welcome in our anarcho-tyrannic dystopias. I was genuinely shocked by the lack of resistance from the liberals and leftists to this event. When I asked Ukrainians about this, they explained that the violence of the Leftists was answered with violence from the nationalists, and the radical Left has been hiding ever since. And Ukrainian youth (except for the usual slumbering hedonist majority) are drawn towards the nationalists, who just seem a more attractive and genuine choice. As usual, without state support anti-whites lose when confronted by nationalists. The Left is trying to subvert the black metal phenomenon. They are trying to achieve this by firstly censoring bands that do not adhere to their paradigm, secondly promoting a new vision of the scene. The Left hates black metal as it is a white subculture directly linked to the National Socialist ideology and the wider nationalist movement. Thus, they promote some radical communist bands (which are really silly and cringeworthy, even by the lowest basement black metal standards) and a newly invented field of “black metal studies.” The whole “studies” phenomenon is a great example of the intellectual impotence of the Left, which tries to turn any legitimate field of study into boring and fruitless cultural Marxist scholasticism. For instance, in black metal studies they try to push the idea of black metal as an expression of non-white minority identities (even dedicating whole conferences to the autobiographies of a black lesbian trying to play black metal — not a joke. unfortunately). They are doing us a great favor, as when artists are getting censored and forced to choose a side, they will drift towards the more radical elements of the scene which are willing to accept them and eventually embrace their ideas (as happened with Peste Noire). Furthermore, if young white men, who are looking for some form of authentic rebellion against the liberal norms are forced to choose between the weak horse of cringe- inducing black lesbians and the strong horse of militant black metal – you guess what choice they will make. During the concert, I met people from Ukraine, Russia, Poland, Belarus, Czechia, Slovakia, France, Germany, Austria, Croatia, Serbia, Greece, Lithuania, Finland, Sweden, Portugal, Italy, and the United States, and I know many more countries were represented. Keeping in mind the complex and often tragic history of our nations, it is really moving to see people from Ukraine and Russia, Ukraine and Poland, Poland and Germany, Sweden and Finland, Italy and Austria, Serbia and Croatia etc. standing together or even waving flags of their nations next to each other. Perhaps, the way to go for Europeans is to focus on the most archetypical and symbolic parts of our legacy. We cannot and do not want to cease to be Poles, Ukrainians, Russians, Czechs, Germans etc., but we must remember that to a large extent we share the same destiny and are facing the same external and internal threats. I know that it is much easier to take part together in festivals than to cooperate in everyday struggle, but such events are a great opportunity for international networking and for starting new cooperative initiatives, many of which are already happening. For most readers, the second day (December, 17th) might be more interesting, as it was more directly linked to metapolitics and community building. 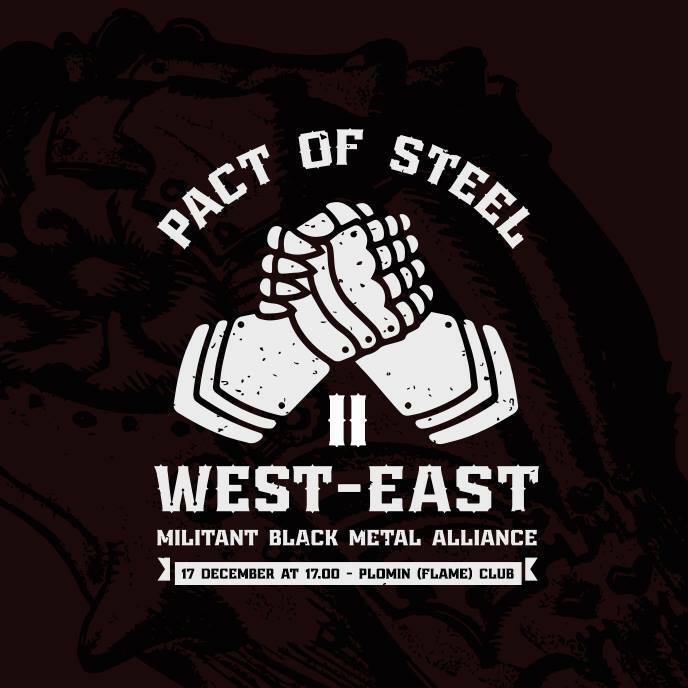 On this day the second Pact of Steel conference took place. 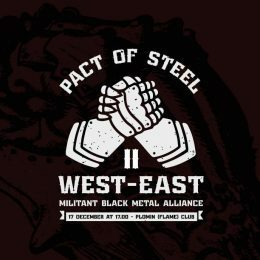 This is an event aimed at creating a bridge between the East and the West, as well as at connecting the black metal counter-culture with the wider counter-currents which are aimed against the modern Zeitgeist. But first, let us take a closer look at the location of the conference. Kozatskiy Dim (Cossack House) is located in the center of Kiev, next to the famous Maidan Nezalezhnosti (Independence Square). It is a building which has been taken over by volunteers of the Azov Regiment during the Maidan revolution and has been occupied ever since by Ukrainian nationalists. It is now a cultural and organizational center, modeled after Casa Pound Italia in Rome. 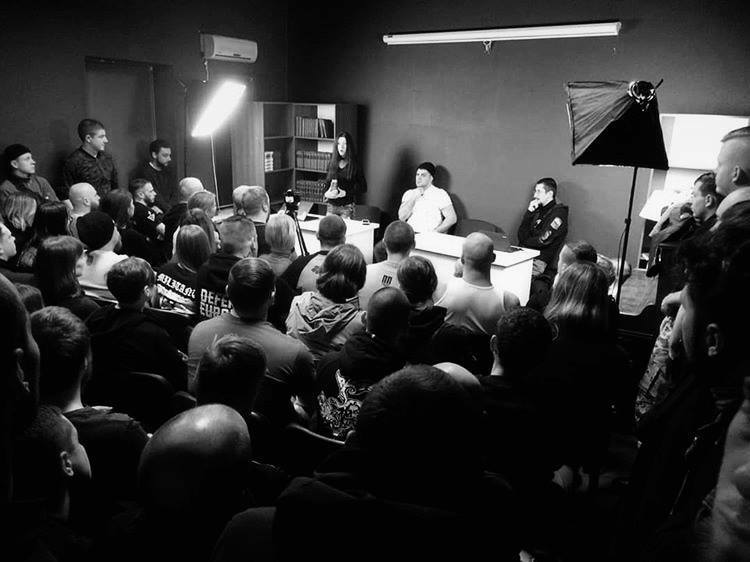 It hosts a number of initiatives such as Literary Club Plomin, Publishing House Orientir, KinoKlub Europa, Art Studio Dürer, the black metal Militant Store, and a gym for MMA and general physical training. And I am sure I am overlooking some of the initiatives, as the nationalists in Ukraine have really caught wind in their sails, and it is really difficult to track everything they do. Bear in mind that the Cossack House is only one such center in Kiev. In the capital of Ukraine, you can also find the Reconquista Club (which is a combination of restaurant, club, and sports center, which hosts martial arts events) and the headquarters of the National Corps (a political movement linked directly to the Azov Regiment), both of which I did not have the chance to visit this time. When you enter the Cossack House you are greeted by the crest of the Azov Regiment and a wall with the pictures of the brave men of Azov who fell defending their fatherland. This is pretty much the answer to the question of the popular support for nationalists in Ukraine, who in the time of crisis turned out to be some of the bravest sons of their nation and did not hesitate to shed blood for their ideals. The Pact of Steel conference was hosted by the Literary Club Plomin. If you want to imagine what it really is — well, think of something like Counter-Currents, or one of these cool New Right social media profiles you love to check every day, but in real life. The Club has a library with shelves filled with books by the best European authors, including “our authors.” You can study, work, or just enjoy great literature and good company over a cup of coffee or tea, surrounded by depictions of Nietzsche, Spengler, Schmitt, Eliade, Lovecraft, Jung, Mishima, Jünger, Pound, or Cioran, and the translations of their work. There is a special room dedicated to lectures and discussions, which — even though the Club is quite a new initiative — has already hosted numerous events of the highest intellectual quality. Another thing that positively surprised me was that this place attracts not only thinking men, but also thinking women, who are searching for truth and wisdom, and for whom the shallow answers provided by postmodern academia and liberal centers are not enough. The conference obviously did not attract as many people as the festival. Many were already going home, and some – let us be honest – are more interested in the festivities than intellectual work. However, there were so many attendees at the conference that we had to leave the room and the organizers had to rearrange it so we could all fit inside. Even after that, the place was crowded. There were people sitting on the window sills or standing in the doorway. And this did not make the audience less engaged. There were so many questions and discussions that the organizers had to actually cut them off and make us continue the conversations during social meetings after the event. The mastermind behind this event was Olena Semenyaka of the National Corps, who introduced the theme of the conference: “After the Darkest European Hour.” Since we were meeting right before the Winter Solstice, this could be considered a metaphor of the current state of Europe. We are reaching (or have already reached) the longest and darkest night, and now the time of rebirth is imminent. The first speaker was Denis of White Rex. White Rex is an initiative dedicated to martial arts which began in Russia but quickly spread to other European countries, including countries on other continents inhabited by Europeans. Denis spoke of “Sport and Violence on Guard of Europe.” It was the second time I have seen him speak to a large audience, and again it was a hit. Denis is a professional fighter and instructor, and he looks like it. But he goes against all the stereotypes of “all muscle, no brain” guys. He speaks very precisely and eloquently, and watching him fluently switch from English to Russian and to German for a multi-language audience is quite a sight. Denis spoke of his experience of traveling Europe and beyond, and meeting with both Europeans, as well as colored immigrants. He emphasized the need to develop one’s strength and technique to defend yourself and your loved ones in real life confrontations. He has painted quite a dark picture of violent immigrants who team up to beat defenseless whites, especially in Western Europe. However, he also spoke of how to break out of this situation. Denis has rightly said that we are using the wrong mindset when dealing with our enemies. We think in terms of chivalry and honor, whereas the colored immigrants do not share such ideals. They have no problem with stabbing someone in the back, attacking in larger groups, or beating women. We need to abandon the limiting mindset and fight to win. And we are able to do it, since our enemies are usually overcome with terror when Europeans fight back. Denis reminded people of the need to carry weapons of self-defense and not be too law-abiding, since the current legal system is aimed against us. If we follow all the rules, we are going to lose. The next speaker was Sviatoslav Vyshynsky from Russia, who spoke about “The Black Night of the Iron Age: The Metaphysical Foundations of Black Metal.” Vyshynsky is a man of double credibility – on the one hand he is a dedicated follower and theorist of the black metal scene; on the other, he has a PhD in philosophy and solid academic grounding to support his daring ideas. He is the author (under the pseudonym Smierc Polarstern) of the book Metaphysica Nova, which frames black metal as a metaphysical form of art for postmodern man (unfortunately, not very well-known, since it was published in Russian and Ukrainian). Sviatoslav Vyshynsky spoke about black metal from a philosophical perspective and tried to place this phenomenon in the wider history of European art. He considers black metal to be closely related with the theme of nihilism, of certain tiredness of European culture, a phase of alchemical nigredo – decay necessary before the rebirth. He also spoke of the problem of the modern nationalist movement, which has more musicians than activists, whereas all successful movements of the past had a contrary ratio. A very interesting theme of the lecture was the problem of rhythm in black metal music, which was abandoned by the bands of the second wave, to be later reintroduced by the more modern bands, but that is very esoteric BM-posting that I will not tire the readers with. The lecture was very concise and well-executed, and the discussion that followed was long and engaging, with speakers asking him about the possible archeofuturistic interpretation of black metal. The next talk was by Ivan Mikheev of the Russkiy Tsentr (Russian Center) who spoke of “Nature protection aspects of Neo-Paganism.” The speech was in Russian, but the summaries were in English. The Russian Center is one of the most interesting initiatives of European nationalists. 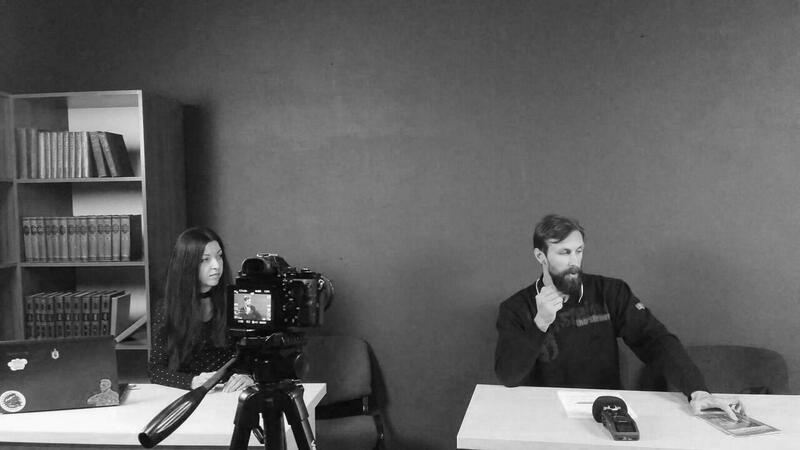 It is a society of Russian political emigrants, who are laying the metapolitical framework for the future political change in Russia (Alexey Levkin of M8l8th is one of its leaders). I think the Russian Center does not get the respect they deserve from other nationalists. The political situation in Russia is much more dire than in other European countries, and the local hate speech law and anti-nationalist legal practice is much more severe. Most active Russian ethnonationalists were forced to leave their country. The fact that they chose to emigrate to a country with which their homeland is in a state of undeclared cold war speaks a lot about the tough but also weird political situation of both Russia and Ukraine. I always listen closely to what people of the Russian Center have to say, as they have no delusions about the actual state of modern Russia. Ivan Mikheev spoke about the different approaches to the problem of divinity in polytheistic (Pagan) and monotheistic (Christian) traditions. In the polytheistic tradition gods are a part of the Cosmos. Nature is treated with respect as an expression of the everlasting universal order, in which the divine is present. In the monotheistic tradition, God is seen as a being above the world, and nature is considered as something profane, which can be used by man as he wills. This worldview arises from the experience of the Semitic peoples, who have inhabited unfriendly deserts. Ivan Mikheev’s argument was very similar to that of Alain de Benoist (who distinguishes the monotheistic and polytheistic worldviews) and of Martin Heidegger (technological thinking versus man as guardian of Being). The last speech was by Olena Semenyaka of the National Corps, who spoke of “Wotan, Pan, Dionysus: At the Gates of the Grand European Solstice.” I consider Olena Semenyaka to be one of the most important nationalist thinkers of the new generation, whose arguments are deeply rooted in the European tradition (especially of Conservative Revolution and German philosophy) and who can always find a new application of these ideas to our current situation. Furthermore, she can also combine metapolitical work with political activism. Large part of her speech was dedicated to the ideas of Ernst Jünger and his understanding of the presence of Titans and Gods in the modern world. Just like Jünger she spoke of the need of deep understanding of the presence of the Titanic, which cannot be erased from the world, and which to some extent must be embraced by present day revolutionaries. She spoke of the possibilities of conjuring certain Gods such as Wotan, Pan, and Dionysus in order to awake Europe and the archetypical forces hidden in the Europeans. However, such calling of the Gods needs to be achieved through means adequate to the modern condition. As I mentioned before, the discussions were really lively. And what followed was one of my favorite parts of such events, namely socializing and networking. If you have not started attending such real-life events, this is why you need to start getting involved right away. Meeting so many great people from all over the world, who have similar goals and ideas, is like meeting old friends that you have not seen for a long time. It is a true inspiration which helps you get through your everyday life and brings much more meaning to anything you do for the movement. Furthermore, I knew that Counter-Currents is well known, but I did not expect it to be so well-known by so many people from different countries. I know that Ukraine seems a very far-away and exotic country, especially for people from North America. But if you are planning your European trip, think of including it in your route, since such initiatives as the Cossack House are an example of how nationalists can achieve great things.